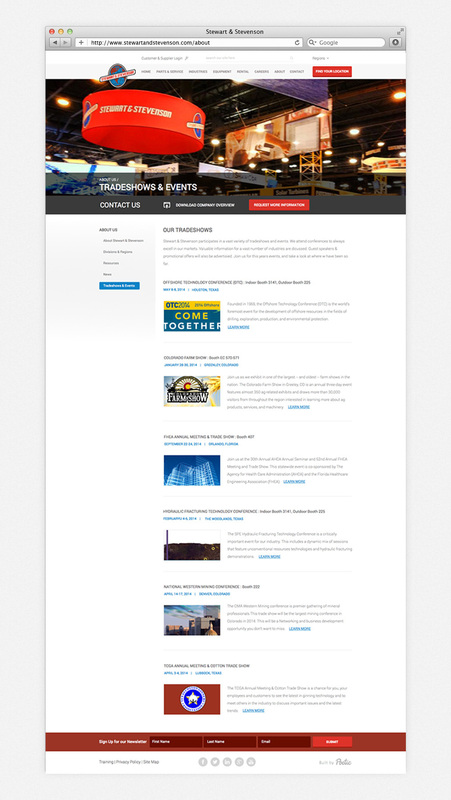 These mockups were made to pitch Stewart & Stevenson for a new website. Stewart & Stevenson is a “leading designer, manufacturer and provider of specialized equipment and aftermarket parts and service for the oil and gas Industry.” Many challenges arose as we took their target market into account, and catered towards an older audience. The outcome was a clean modern lift, with necessary elements and resources up for grabs.